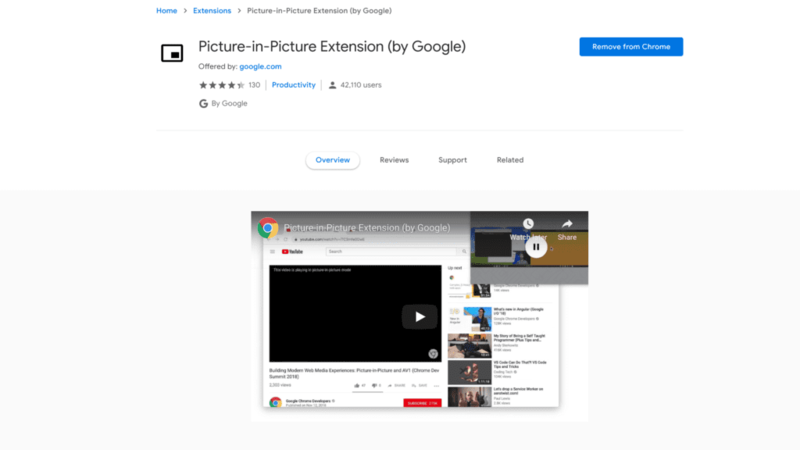 Picture in Picture (PiP) for the Chrome browser has been a work in progress for nearly a year and a half. Since Chrome 70, Mac, Windows and Linux have been able to take advantage of this handy little feature by right clicking (twice in some cases) on videos from sites such as YouTube and Vimeo to launch a floating video player. 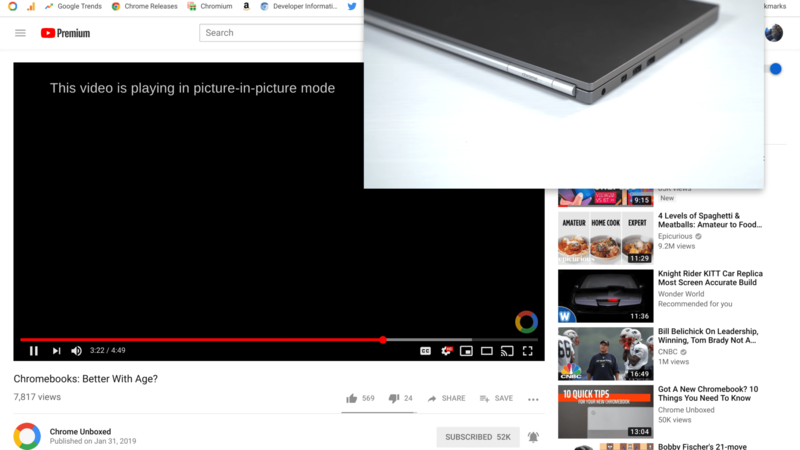 Unlike the mini-player on YouTube that is confined to the tab it originated from, Picture in Picture allows users to navigate around their device while keeping the video playing in the foreground minus the distraction of a webpage. For Chromebook users, the PiP function has been hidden behind a flag for quite some time and is still non-functioning when it is enabled. That should change very soon thanks to the Picture in Picture extension from Google. Currently, the extension appears to be working in conjunction with Chrome OS Beta 72 which should be headed to the Stable channel in the next week or so. You can go ahead and install the extension from the Chrome Web Store but it will probably not work until you device updates to Chrome OS 72. For Chrome OS, the keyboard shortcut for PiP will be Alt+P or you can simply click the extension icon. I would suspect that it will eventually be baked into Chrome and the icon will go away as the feature becomes more widely adopted. If you’re interested in testing out PiP, you can head over to the Beta channel but remember to back up your data first. Moving back to Stable will wipe your device. From there, grab the official Picture in Picture extension from Google here. Special thanks to Marc Carran for spotting the PiP extension in the web store.